Remember if you use the neckless versions of darkside install the normal version Beautiful Reality Face - Claire 2.0. 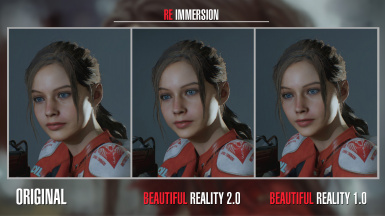 If you use the versions with highneck, install Beautiful Reality Face For Darkside Costume -1.1. 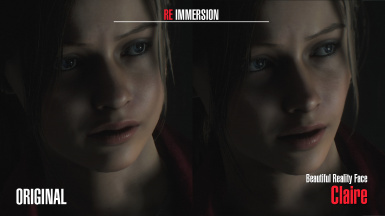 You can install the two files together if you want to use the face for the other suits of the game because with the last update do not overlap each other. 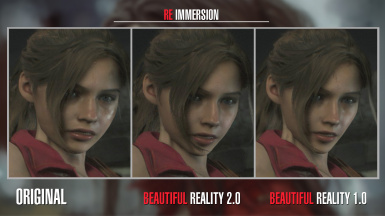 Simply use the normal version of Beautiful Reality Face - Claire 2.0., This will change the face for all the suits of the game. 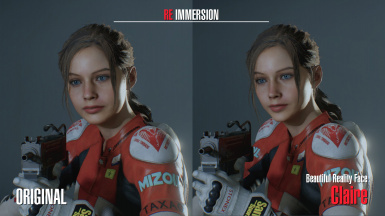 This update allows the head to be maintained only for this suit and the other suits of the game will not be affected. It requires updating base files to 1.1 and Red Hair for Darkside to 1.1 in case you are using it. 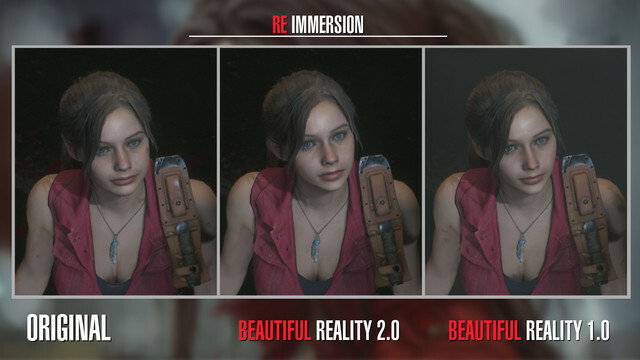 Added a version 2.0, the modification is more natural than the first version being an intermediate design between the original design and a better approach to Jordan McEwen. Feel free to download and enjoy the version that you like. 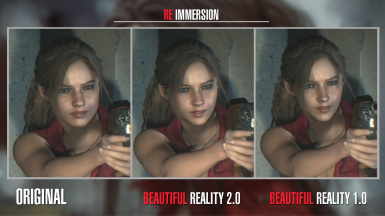 If unfortunately, they got ahead of me by publishing the other mod !!! Also, there were captures and had already advanced in another post that was already working on this modification beforehand. 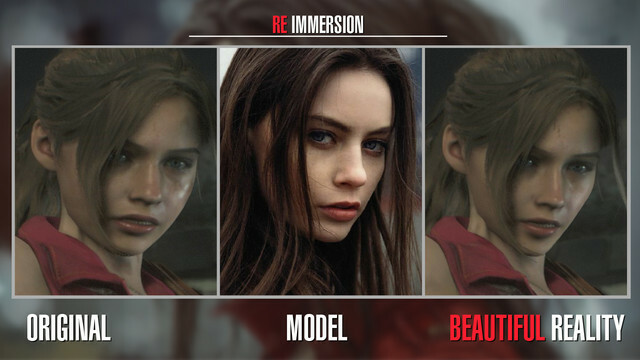 Actually if you place a modification next to the other you will notice a greater difference, the style of the other is something more anime. Do something like this seems simple, just move polygons and, but to make it look natural you have to try and try to find the exact point, you need to know the proportion and human figure so it does not look grotesque. I do not mind the comments, it's what this has to do, each person has his personal vision and tastes, I think many people do not understand the work and the hours it takes to do something like this, plus you do it out of pure love of art . 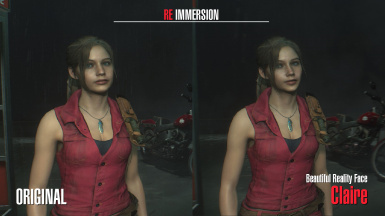 I'll keep getting some updates on this mod until I'm really satisfied. 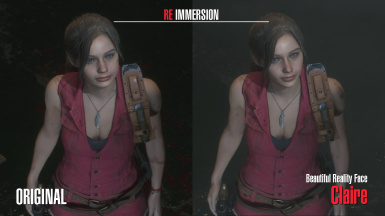 Personally I think Cpacom did an excellent job with the modeling of the characters, and I really like Claire's design, but I wanted to make the model look more like Jordan, maintaining the naturalness of the face without looking like a Barbie doll. 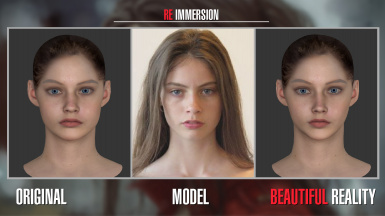 To achieve this, modify the model in the cheekbones, chin, lips, eye contour, size of the eyeballs, width and length of the nose and other adjustments in the face. 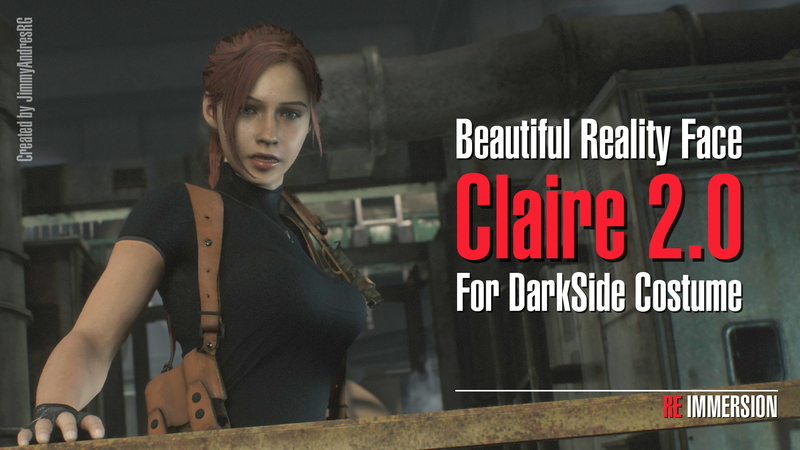 It is compatible with any Claire mod and texture. All the mods will be published here on Nexus. To FluffyQuack for its great Mod Manager, without this tool it would not be possible to replace the textures of the base game. 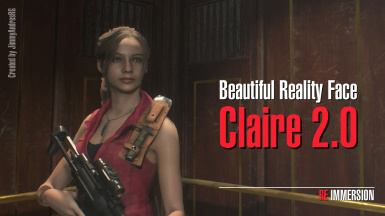 To Crazy Potato for his fantastic guides..
To Capcom for creating such a great game! If you download, use it and you're happy, give me an Endorsed !! It does not take time away from you and if it motivates me to continue doing great mods!